We are very glad to know that LeoPrime has declared $50 No Deposit (Welcome) Bonus. The new No Deposit Bonus from LeoPrime is an exciting opportunity to start Forex trading. The bonus is credited automatically once requested and is available for trading straight away. Get $50 Startup Bonus and Start trading without any investments and risks right now. Don’t waste time and take advantage of our unique offer before it’s over. Bonus offer : $50 No Deposit Bonus. Withdrawal : The Bonus cannot be withdrawn. Bonus Amount : The Bonus refers to an amount of USD $50. Verifications : No Deposit Bonus can be obtained by every new client who has passed the verification process. 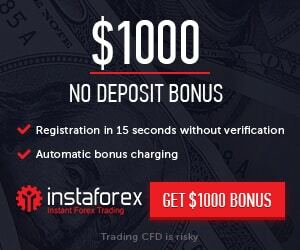 Valid For : This No Deposit Bonus will be valid for only 30 days from the date the Bonus has been claimed. Withdrawal : The Bonus cannot be withdrawn. You are only eligible to withdraw the profit that you make from this Bonus, and your profit will be available for withdrawal once you have completed the required lot size.